Working professionals, such as: managers, doctors and lawyers, find it difficult to make time for even a basic errand, which is why this special service was designed with you in mind. As your personal grocery shopper, we thrive on helping people like you. 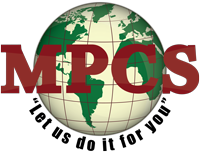 MPCS will purchase and deliver your groceries to your home or office, as well as shop for people who are unable to do their personal grocery shopping, especially senior citizens. Call us with your grocery list and let us know if you have a preferred supermarket and “let us do it for you”.